For decades, Northwest Washington State communities have partnered with the Military in protecting our national security. 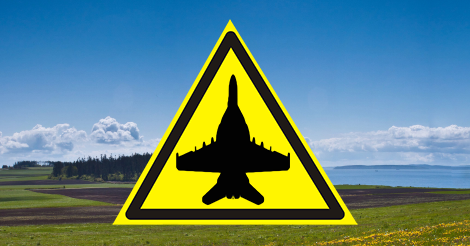 Now, our communities are collateral damage of the Growler Jet program because of the incredible noise, pollution, and economic impacts. The latest proposal by the Department of Defense dramatically increases the number of Growler jets and flights – putting us all at risk. It’s time we stand up for our communities. This proposal includes a massive increase – from 6100 to 23,700 operations over NW Washington. Any increase would be devastating to our people, economy, health, land, air, water and wildlife. 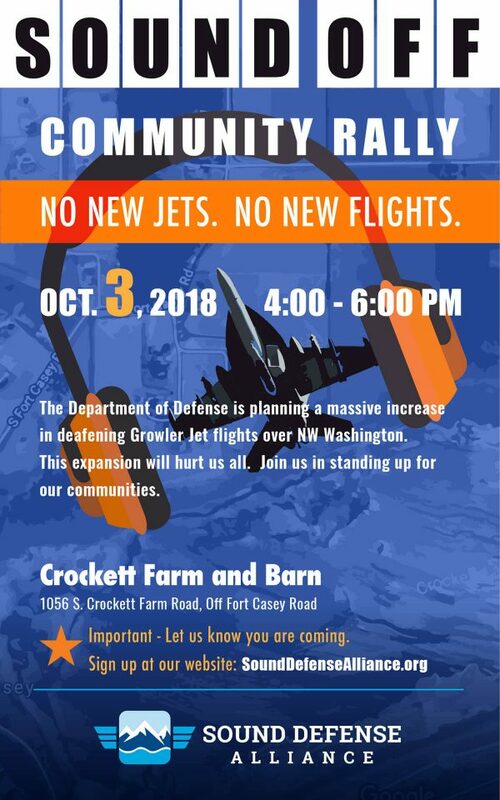 Friends and neighbors, please join us in a creative and fun event as we kickoff our campaign: No New Jets, No New Flights. 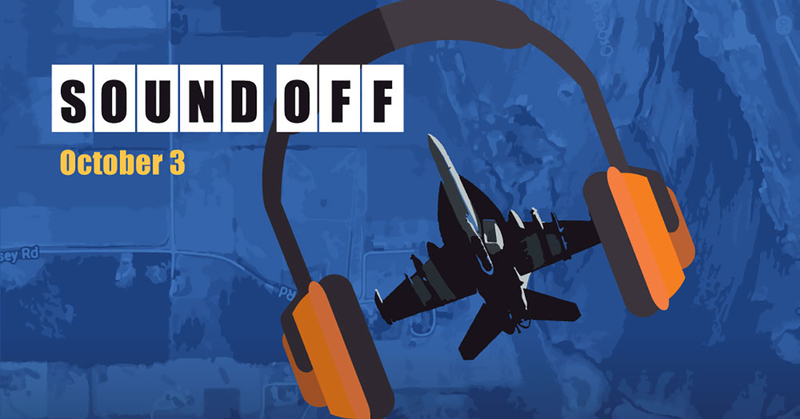 On October 3 at Crockett Barn the Sound Defense Alliance is hosting an orchestrated visual spectacle to send the Department of Defense a message they can’t ignore. We need people young and old to show up and hold a card that will contain part of this message: We hear you. Can you hear us? This card stunt will be filmed and photographed in order to make a huge splash on social media and with decision makers. If holding a card above your head is hard for you, or you have trouble standing in one place, we still want you to participate as part of the larger community! Just come out surround and support us! You do not have to sign up for both. Just one of the above. See you there! The US government ban on Concorde jet aircraft 2003 because of noise standards and elevated pollution should apply with the current Navy proposal for our area.